Item Detail - “BOYS TOWN NEB. / HE AIN’T HEAVY FATHER… HE’S MY BROTHER” RARE BUTTON. 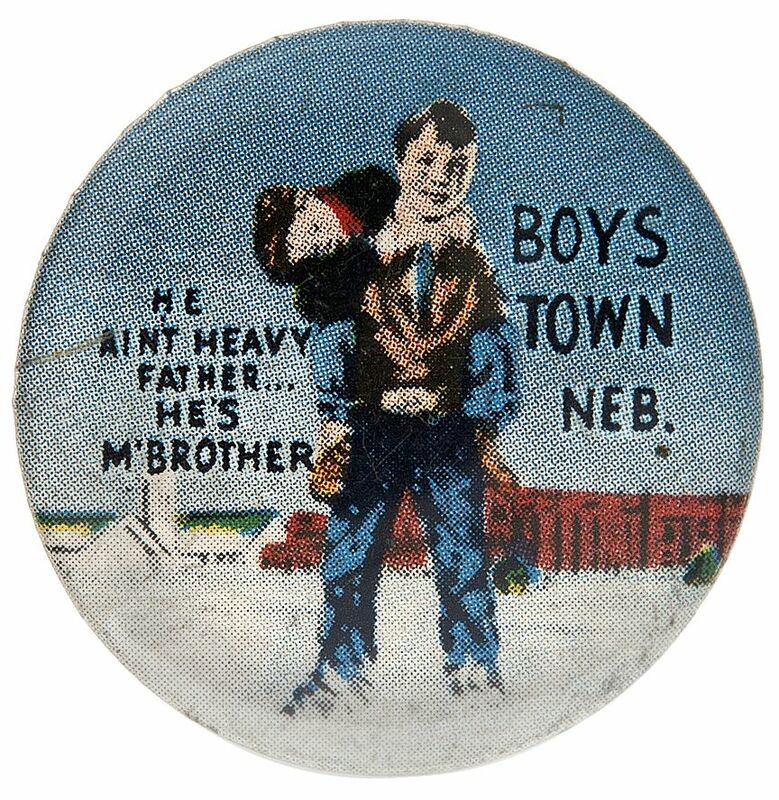 “BOYS TOWN NEB. / HE AIN’T HEAVY FATHER… HE’S MY BROTHER” RARE BUTTON. Circa 1950s. 1.25”. No maker name. Near Mint Displaying Mint. Rare.